As students wrap up their second quarter, one of the most anticipated events is the Snowball Dance, in which students go to dance the night away with friends and dates. 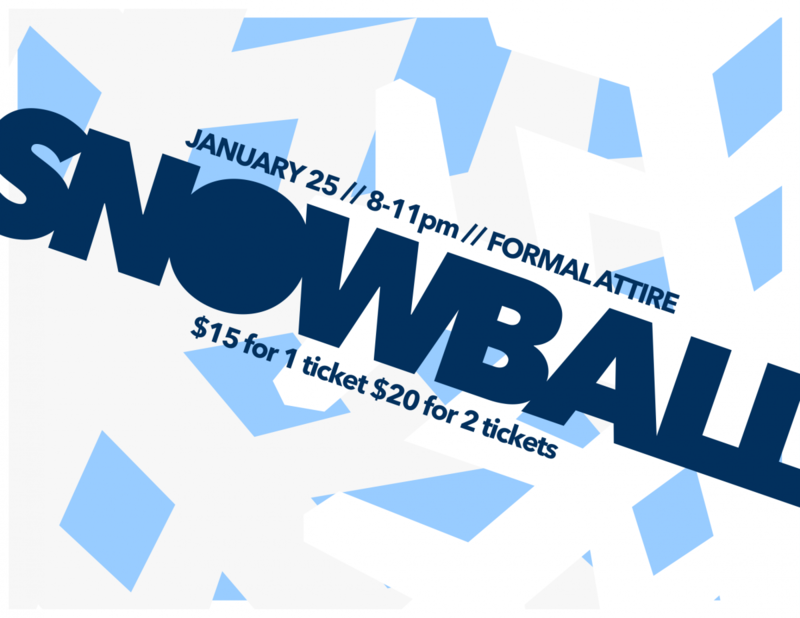 Snowball will be held in the CHS commons on January 25, where students can dance and eat snacks. Tickets were available during the week of January 14 near the library. Tickets cost $20 for one and $15 for a pair and will be available at the door. The dance will be from 8 p.m. to 11 p.m., according to Isabel Simmons, Junior Student Councilwoman. All grades will be allowed to attend. The dress code for the dance is formal wear. There are many things to expect from this year’s dance, with food trucks such as Hotcakes and Chicken, Mapleview and Wil 4 Pop’s. With so many things to expect for this year’s dance, how can it compare to last year’s dance? Sydney Shortridge, Carrboro Junior, talked about Snowball 2018 when she was a sophomore. There are things that students think could be improved too. Shortridge said that she will go again, but thinks that ticket prices aren’t ideal. Overall, this year’s snowball is very promising. With food trucks and dancing, Carrboro High students are expected to have a lot of fun.